We are thrilled to announce our expansion to the U.S. through the opening of our Silicon Valley office and the hiring of Michael Yang. 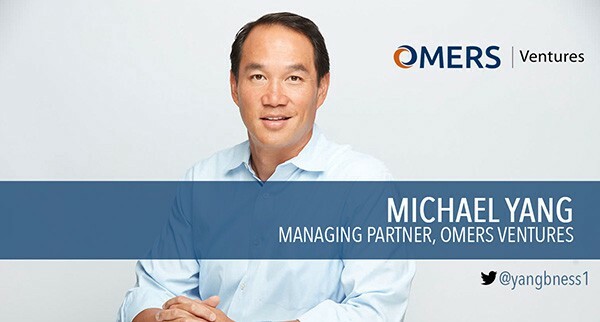 Michael brings over a dozen years’ of venture capital investing with an early stage focus on e-commerce and emerging technologies such as healthtech, IoT, and AR/VR. Michelle Killoran, Principal, will be relocating from Toronto to Silicon Valley to provide additional strength to the new office. Jim Orlando: Total VC investment in Canadian startups will drop, Bitcoin will increase value, and non-animal protein will become the new cleantech. What else? Read the full 2019 Canadian Tech Predictions for more on startup financing and tech trends. Are you a member of the LGBTQA+ community who’s looking for a new opportunity in tech? OMERS Ventures is thrilled to host the Venture Out Career Fest on February 7 in Toronto. Participating companies include Slack, OpenCare, Uberflip, Tucows, Jobber, Coinsquare, Crowdriff, Intelex, Crescendo, and many others! Visit the event page to learn more. January 29 // NYC // Corridor Demo Day — Jim will be there! January 31 // TORONTO // L-SPARK SaaS Showcase — Nicole is moderating an investor panel with Real Ventures, Ripple Ventures, Maple Leaf Angels, Panache Ventures and ScaleUp Ventures. Michelle and Alyssa will also be attending! January 31 // TORONTO // #MovetheDialStories — Soha is presenting.